Social media marketing is a great medium to reach out to prospective customers directly through social media platforms like Facebook, Twitter, Instagram, and Pinterest. 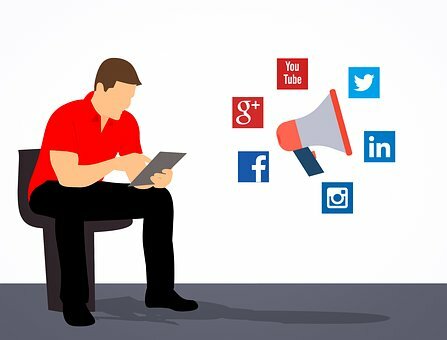 Social Media Marketing or SMM includes generation and sharing content on social media platforms to create brand awareness and achieve your marketing and business goals. Social media advertising includes posting of text, image, videos, and other content that engages audience engagement, as well as paid advertising (Pay per Click ads). Social media campaigns can be targeted at age, gender, location etc. We are a Top social media advertising and marketing agency in India that offers end to end social media marketing services such as creating and managing social media accounts, posting ads, images, contents and videos etc. and generating traffic on websites from various social networks like Facebook, Twitter, Instagram, Linkedin, Pinterest, G+, YouTube etc. We offer following services.